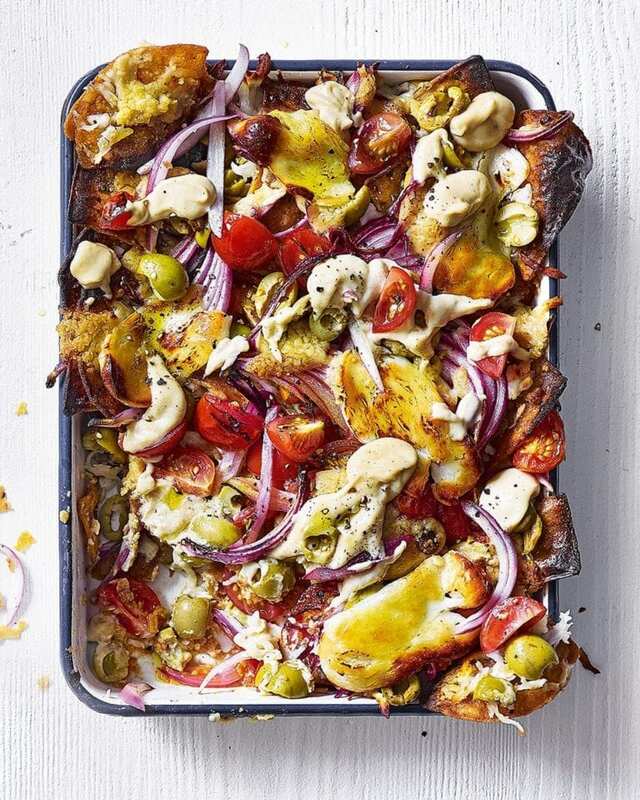 This sharing-style tray bake puts a pot of houmous to good – and surprising – use. Just layer all the ingredients up, top with halloumi and pop under the grill until crispy and golden. Heat the grill to medium. In a bowl, combine the olives, red onion, cherry tomatoes, the finely grated zest and juice of ½ lemon and a drizzle of olive oil, then season with salt and pepper. Spread half the 200g bag tortilla chips in a baking tray or shallow baking dish. Spoon over half the tomato mixture, 100g of grated halloumi and half the pot of houmous.